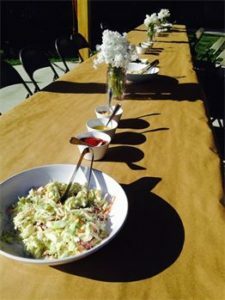 TIME TO BOOK YOUR SUMMERTIME PARTIES! 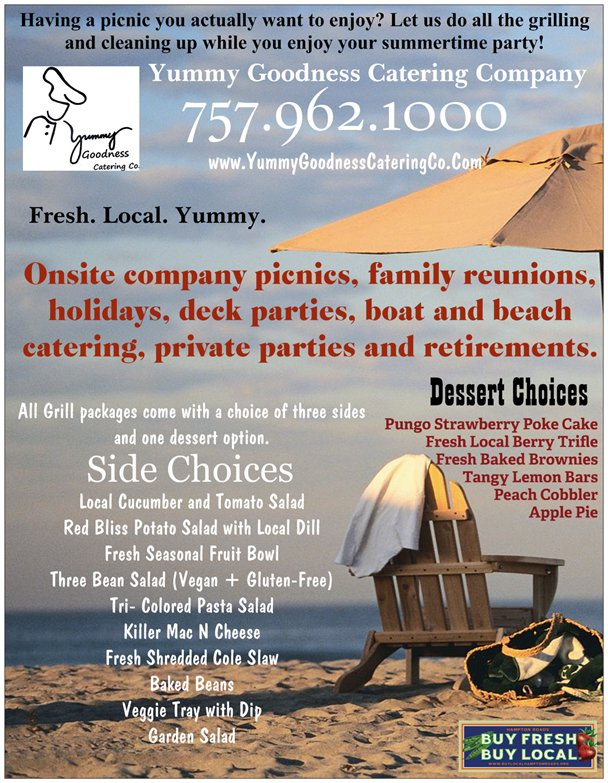 Having a company picnic, family reunion, beach party or any other sun-filled event? 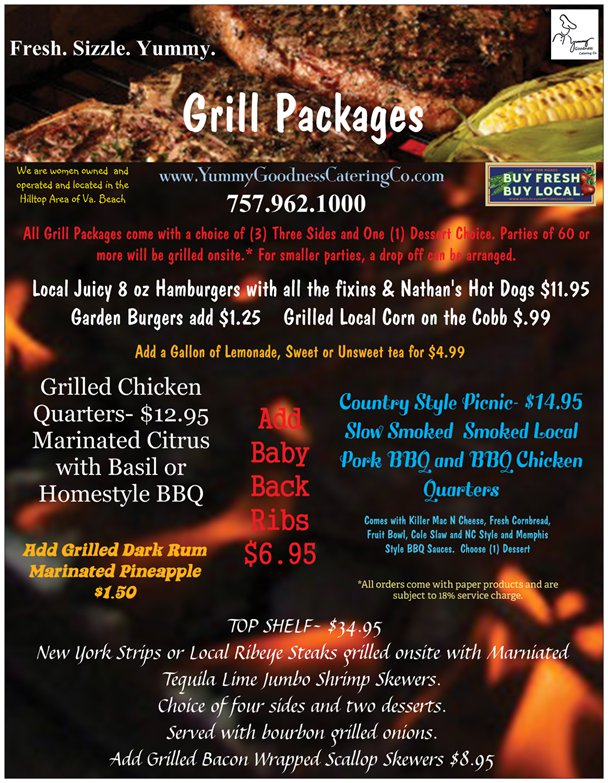 We grill onsite for parties of 50 or more! 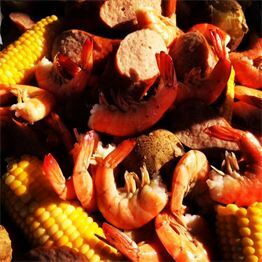 Low Country Shrimp Boil- Yes that's right, lets get down in South Eastern Virginia! Call for more details! Renting a vacation house in Sandbridge? Weekly dinner packages available upon request! 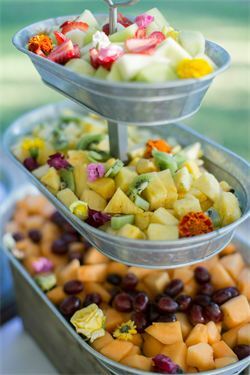 with fresh cut ribeye steaks, citrus and herb marinated chicken breasts, shrimp kebabs, fresh local veggie blend, fresh corn on the cob with lime butter, roasted red potatoes and onions with fresh herbs, crisp cucumber and tomato salad and fresh baked bread basket and mini-dessert display. served with signature drink of your choosing, beer, and wine. $49.95 per person, including alcohol.